Christmas time is an exciting and busy time of year and nearly everyone does some form of Christmas shopping. Businesses understand this process well and always gear up for the holiday with excellent sales on popular products. Sometimes these deals can appear too good to be true and many times they are. 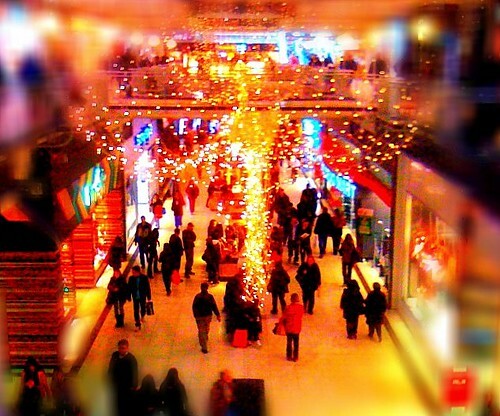 Traditional store shopping is still very popular, though online sales have tripled over the past three holiday shopping seasons. It is always important to keep receipts for purchases from traditional stores, especially for electronics or other expensive items. Online purchases can be more problematic because of shipping logistics. But, if you get bitten by a holiday shopping blip, how do you avoid aggravation and still go about recovering your losses? Hopefully, the receipt can be located for any product that an individual wants to return. This is a strict policy for almost all national chain stores and it is most likely the policy of the remainder. Sometimes items that are pre-priced with a company logo may be acceptable without a receipt. Returning a defective or mislabeled item can also require providing a name and telephone number to the business. This is often done as a security precaution to eliminate in-store theft using the exchange policy. Do not be surprised if this occurs. Luckily, most stores have a “no questions asked” return policy on verifiable store items. Online returns can be problematic in many cases for the customer attempting to recover funds from purchasing a fraudulently advertised product. Sometimes the website stores do not physically exist. The past 2012 Cyber Monday yielded 132 seized domains, and many other actual business closings, for websites that were advertising items that they did not stock or for selling unauthorized “knockoff” versions of trademarked items. Preventing the purchasing of fake or misrepresented items is becoming part of an enhanced policing agenda, utilized during the past three years to combat deceptive online commerce. Customers are also utilizing their own online grievance sites for filing a complaint. Many commercial sites have buyer protection plans and the site will assist the purchaser in recovery of funds or in contesting a purchase. Still, it is always very important to be extra careful when making an online purchase, especially for a significant amount of money. Warranties are usually covered by the manufacturer and not the merchant. This can also be troublesome, as it usually requires shipping the product back to the manufacturer. Additionally, this will add to the item expense. This is especially true for electronic purchases. Most electronics perform as described, but that is not always the case and it is easy to damage an item in shipment when mishandled. Warranties or returns that are being processed with the manufacturer will always require a considerable amount of time, though reputable companies are generally trustworthy. It is important to remember that purchases made with a credit card have more financial fund replacement options than debit cards. Debit card companies field complaints and will contact a merchant, but the purchases are not covered by insurance. The debit card company handles the complaint by requesting a refund for the expenditures in exchange for returning the item. Sometimes there is no item to return, so it is easy to see that recovering losses from a bad purchase can often be difficult. Even when there is no recourse for financial recovery, the victim can use online complaint sites to get the word out about deceptive businesses and their operational practices that are abundant in both traditional and online marketplaces. Ann Bailey reports on business practices for consumers and stores alike. Experience-rating sites, like Gripevine, that are available for filing a complaint, often give wronged customers a valuable outlet for their aggravations but also provide companies a platform for acknowledging and addressing the concerns of their customer base.